Nusa Penida is an island southeast of Indonesia's island Bali and a district of Klungkung Regency that includes the neighbouring small island of Nusa Lembongan. The Badung Strait separates the island and Bali. The interior of Nusa Penida is hilly with a maximum altitude of 524 metres. It is drier than the nearby island of Bali. There is very little tourist infrastructure. There are two small islands nearby - Nusa Lembongan and Nusa Ceningan - which are included within the district. Nusa Penida, and neighbouring Lembongan and Ceningan islands, are a bird sanctuary. 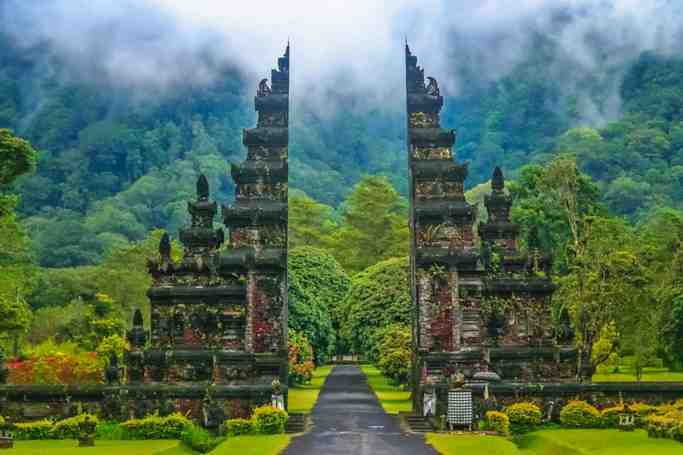 The islands communities have used traditional Balinese village regulations to create the sanctuary. The idea of a sanctuary came from the Friends of the National Parks Foundation (FNPF). Nusa Penida covers a wide area of diving locations, including Penida Bay, Batu Lumbung (Manta Point), Batu Meling, Batu Abah, Toya Pakeh and Malibu Point. The flow through the Lombok Strait is, overall, south-tending, although the strength and direction of the tidal streams are influenced by the monsoon seasons. During the southeast monsoons, the tidal flow tends south; during the northeast monsoons, the tidal flow tends north. In the area of the strait north of Nusa Penida, the pattern is relatively simple, with a flow, at peaktide, of about three-and-one-half knots. Tidal streams in Badung Strait are semi-diurnal, but the character of the stream is very complicated because its direction runs obliquely to the general south to north direction of Lombok Strait, and the channel has a curved shape. There are about 1,419 hectares coral sites with 66 percent covered the sites in 3 meters depth and 74 percent covered the sites in 10 meters depth. Toyapakeh has a stretch of reefs, and in the southern part of the bay there is a similar area of rugged bommies, rich with color and fish. Big schools of fish, sea turtles, and occasionally Mola mola (sunfish) are highlight of Toyapakeh diving. Toyapakeh is special for its pillars of coral. Malibu Point is a diving site with gray reefs, reef white tips, silver-tips and numerous sharks. While Penida Bay is another anchorage, and the rocky islands have an interesting forms; something like an old resting elephant. The bay is vulnerable to swell, creating-up-and-down-currents. Then, Manta Point is a limestone rock off Pandan cafe. The swell is relatively strong. 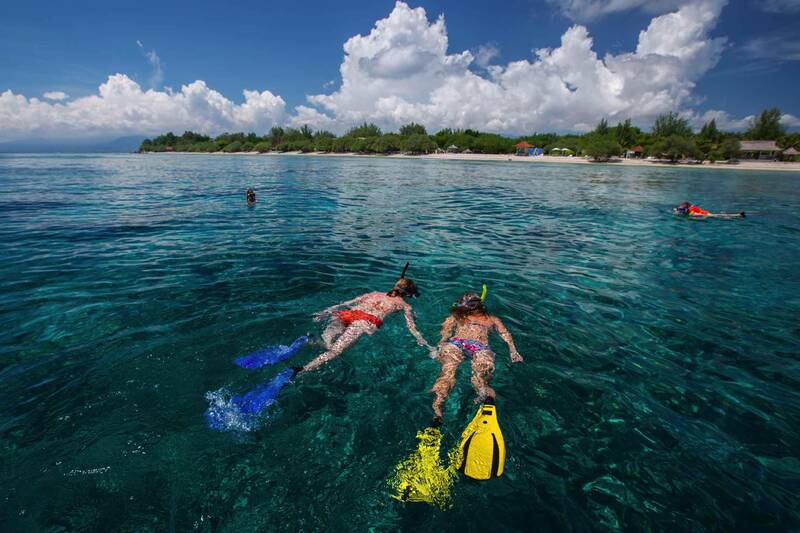 Nusa Penida/Lembongan is a diving site with vast spread of coral reefs and good visibility. Big fish are frequently observed at the area. Manta rays or sunfishes appear in certain seasons. The site is also known because of the very strong currents requiring advanced diving skills. 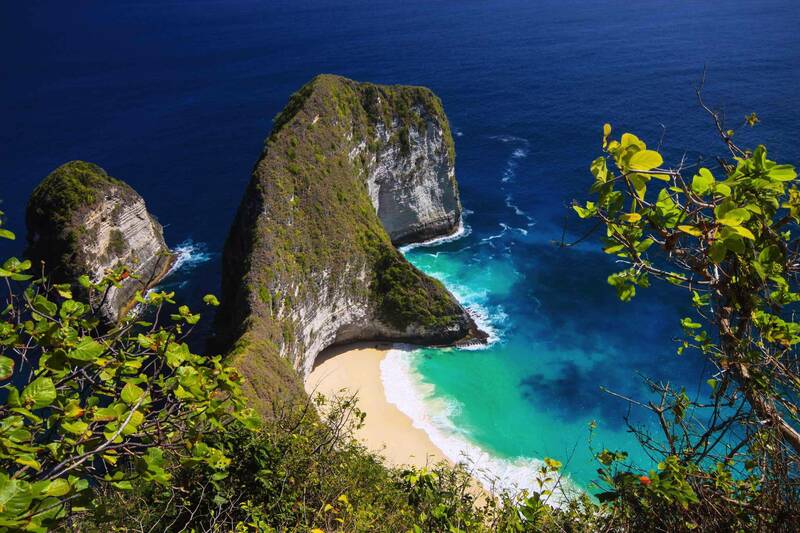 Crystal Bay is located on the west side of Nusa Penida. The bay is not easily visited by land, and is therefore often empty, jotted by lonely palm trees. Just outside the bay there is a big rock, a small island even, which can be used as a point of reference, especially under water. The diving here is considered some of the best on the island with eels, Napoleon fish, parrot fish and turtles common place. During the summer months Mola Mola are often spotted here although they can also be spotted during the wet season. The current and swell can be strong and so diving without a guide with good knowledge about the area is inadvisable. Only dive here when you have a certain level of experience. A bat cave is located nearby. Nusa Penida | eTips Inc.